Beautiful twinkling lights have long been a traditional way to mark the coming of the advent season. Placed in our homes, on the streets and in the shops we scramble in and out of, the twinkling lights remind us of the magic of Christmas time. Battery operated lights are able to instil that sense of wonder without all of the hassle of corded lights. The battery lights are completely self-sufficient, which makes them ideal for smaller displays or where the cord would be forced to show. 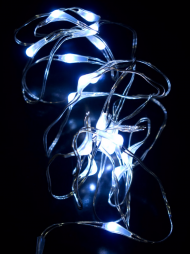 These versatile lights can be used outside of the Christmas season as well. Often used in catering events, these lights are prefect for parties or other special occasions. 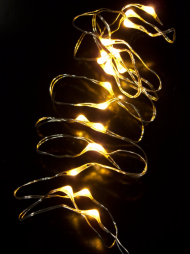 Battery operated lights form the Christmas Warehouse are available in a number of shapes and sizes. While some feature multi-coloured mini bulbs, others are larger and rounded and other stills are LED lights. LED lights burn brighter and last longer than traditional bulbs. They also reduce waste because they 95% more energy efficient than their traditional counterparts. 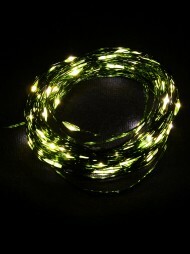 For battery operated lights that will surely shine brightly, invest in a few strands of LED lights. 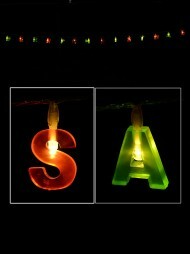 These battery operated Christmas lights are versatile and transportable. Use them to decorate a table top tree and then hide the battery pack inside. However you choose to use them, they are sure to make the decorating process and more seamless ordeal. Convenient and quick, battery operated Christmas lights are a great choice for difficult to reach places and anywhere that just needs a boost of pizazz.